Did you know that there is an approximate thirty-three percent of the world population that suffers Sleep Problems? And about seventy million of that population comes from America? People who are sixty-five or older are the common victims of sleep deprivation. However, children, teenagers, and the rest of adults are not exempted from Sleep Problems. The only difference from each person’s experience of sleep deprivation would be the reason or cause of it. Some people experience difficulty in sleeping because of personal reasons such as work shifting hours, personal worries, or they just choose to stay awake all night to watch a television show or to socialize. Some people also experience sleep deprivation because of illnesses. We all know that even a simple cold hinders us to have a good sleep at night. Another reason is the drugs that a person takes. Medication can cause sleep deprivation because some drugs cause nocturnal alertness. The sleeping environment is also a factor in this kind of problem as well as personal hobbies such as smoking or drinking coffee before going to bed. Caffeine is one best agent of sleep deprivation. It is the most popular addicting substance that people expend from coffee, cocoa, tea, chocolate, and soft drinks. The substance of caffeine comes from the coffee bean, kola nut, cacao pod, and tea leaf. We have to admit that every time we need to work long hours at night, we treat coffee as our powerhouse. Many people are tested and witnessed as guilty of this hobby. This is simply because caffeine increases one’s alertness. It enables people to stay awake especially at night. However, little did people know that caffeine reduces one’s motor coordination as well as causes headaches, dizziness, nervousness, and insomnia. Consuming caffeine can also cause an increase in heart rate and a constriction of blood vessels. Indeed, caffeine is one factor why some people experience Sleep Problems. Aside from the effects of caffeine in the body, there are several implications of sleep deprivation. For one is the reduction in alertness. Even though coffee helps people to stay awake and alert, insufficient sleep causes the brain to work slower. Thus, reacting and making decisions is slower than usual. It also causes a reduction of awareness in one’s surrounding. Once the brain functions slower, one’s work energy is affected as one also loses motivation and concentration. Irritability and moody temperament are also experienced by a person who lacks sleep. This person would most likely tend to fix his/her mind on a single thought rather than think about many things. Insufficient sleep also causes poor memory, poor discernment, making errors by forgetting to put an “A” upon typing the word “Apple,” making errors by mistakenly choosing the wrong option, and having a short span of involuntary sleep. In addition, Sleep Problems are basic reasons for sleep deprivation. What are these Sleep Problems which people usually experience? The most well-known problem is Insomnia. 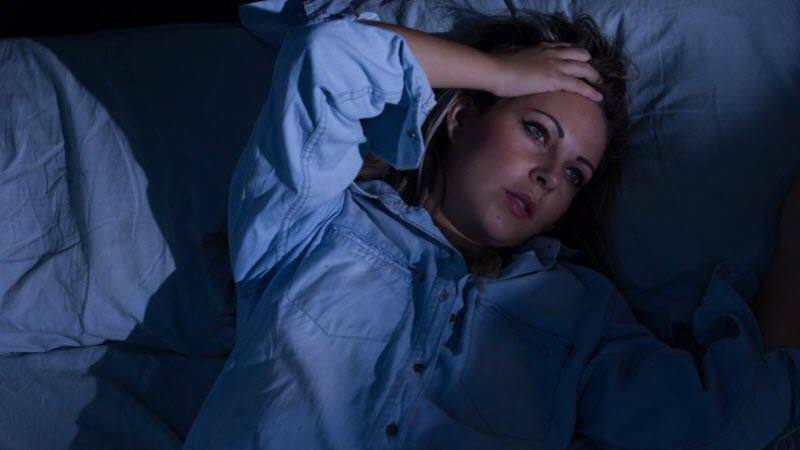 Insomnia is one disorder where a person experiences inadequate sleep because of difficulty in falling asleep, having interrupted sleep, and difficulty in sleeping again. Insomnia just keeps the person awake all night long every night. The second well-known sleep disorder would be Sleep Apnea. This is where a person experiences some breathing difficulty at night or upon waking up. Literally speaking, the word apnea comes from the Greek term which means “want of breath”. Apnea could be a life-endangering problem which may only start from simple snoring. Next sleep disorder is Narcolepsy where a person experiences excessive sleepiness during daytime even if one had an adequate sleep the previous night. This type of sleepiness is not normal because it can occur at any place and time. It is irresistible and can occur repeatedly in one day or every day. Sleeping at night is also difficult for these sufferers. A patient with Narcolepsy can fall asleep all of a sudden even if he/she is doing something. One perfect example of this disorder is Melman’s role in the movie, “Madagascar”. It is not a sufficient illustration of the disorder but Melman somehow characterizes it. Another disorder is called Restless Leg Syndrome or RLS wherein the person experiences some painful, tingling, pulling, creeping, or crawling sensation in one’s legs. This feeling can occur from thigh to ankle, to one or both legs, even in the arms. This is usually caused by a prolonged stay in a certain position. It is advised that if one feels this kind of sensation, one would move the part of one’s body wherever it occurs. Next problem is Sleep Paralysis. A person may feel a little paralyzed during sleep. SAD or Seasonal Affective Disorder is because of the long period of the winter season. During this season, people lack sunlight and this causes the SAD. Delayed Sleep Phase Syndrome is a disorder where one experiences a reversed sleeping time. One sleeps in the daytime while is awake all night long. Lastly, sleepwalking or sleep talking is not a safe disorder for people. This can cause full accidents that may endanger one’s life forever. Anyone can suffer from any of these sleep disorders because anyone can experience any Sleep Problems. The only thing for us to know is that there are, for sure, effective methods of how to fight these problems. Getting sufficient sleep is one best solution to this issue. It is a myth that all people need to sleep for 7-9 hours. The truth is people have different sleeping periods because it changes as a person grows old. Children in primary school need to sleep for about 9-10 hours a day. This is crucial for the child’s growth. Teenage youth need to have 9-10 hours also, while adults need to sleep only at least eight hours a day. Additionally, our body needs enough sleep because it revitalizes best during deep sleep. Our organs and entire body system have certain functions that can only be achieved in deep sleep. It is not true that our brain rests when we are sleeping. It functions best during sleep for it controls the whole body as the body recharges. Aside from the aforesaid natural treatment for Sleep Problems, there is also the alternative help of Science in order to cure people who suffer from such ailments. The site Genf20.com offers services that are surely considered as alternative aids for treating Sleep Problems. The site is very accessible to anyone who needs urgent help. Aside from the remarkable customer service they offer, they also offer a great concern for everyone’s health, most especially to people who are not getting any younger. Doctors have trusted the products offered on this site offers to the patients for these products are clinically tested and medically trusted. Genf20.com is the leading medical company in the world. The company created a product called GenF20 Plus to cater to the urgent needs of the people who do not have the time to go to hospitals and visit doctors. No need to worry about the people behind the patients’ health, the site has its real doctors who manage the quality of the products produced by this company. This site is hassle-free and truly reliable.